Major apparel retailer in Fresno, CA was so pleased with the performance of the L-Bar retrofit in their pick modules in phase I of a lighting retrofit they decided to move forward with phase II. The client decided to retrofit all pick modules, mezzanine and conveyor applications as well as retrofit all fluorescent and metal halide high bays at their 2 million square foot campus. 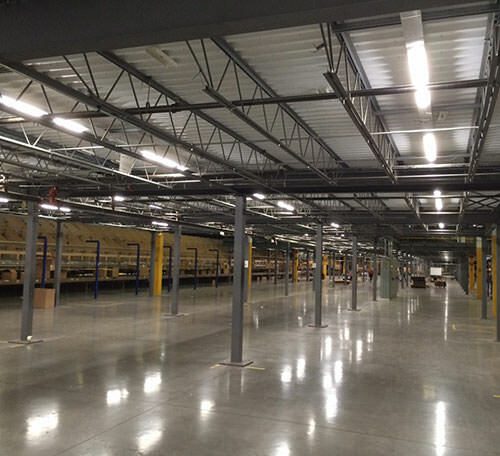 FSC Lighting’s L8500 series strip and LED High Bay series were chosen to retrofit the 112-watt fluorescent strip. The high bay solution was a unique 2 for 1 design. 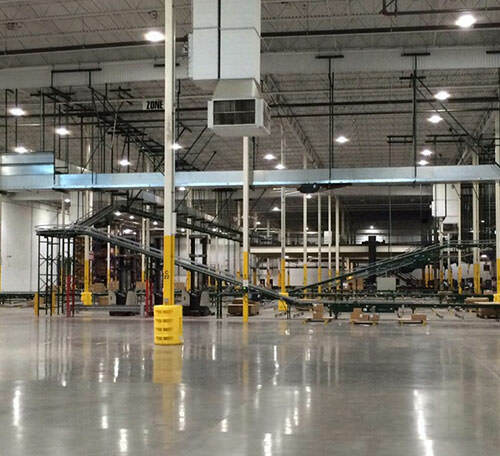 Approximately 4,200 fluorescent high bay fixtures, 147 watt T8 & 234 watt T5HO, were removed and 2,100 LED 137 watt high bays were installed throughout the warehouse, at 39’ mounting heights. This unique solution slashed operating costs while enhancing the visual appeal of their vertical racking. In addition to a massive energy load reduction, a lighting control strategy was implemented, complete with occupancy sensors, dimming controls and photo-cells. By retrofitting their existing fluorescents with FSC Lighting’s LED solutions, this major retailer will use 3,332,044 fewer kilowatt hours (kWh) per year, an annual savings of approximately $298,436. As an added benefit the L8500 LED fixtures qualified for a Tier 2 LEDA incentive of $750,000 and a PG&E ADR of $150,000. Annual energy cost savings coupled with the substantial rebate guarantees a pay-back 2.3 years. Apparel retailer saves 86% energy consumption at 2M square foot campus.